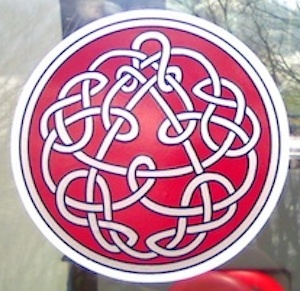 Red Discipline knotwork Logo, designed by Steve Ball. I loved my Disipline sticker!! From Dominick of Hollis, New Hampshire on 10/10/2012 . From David Horhota of St. Catharines, Ontario on 8/18/2004 .